Archaeologists in Mexico today revealed the astonishing skull of a person suffering from a cranial disfiguration, believed to be 1,000 years old, the find was made near Mexican village of Onavas. 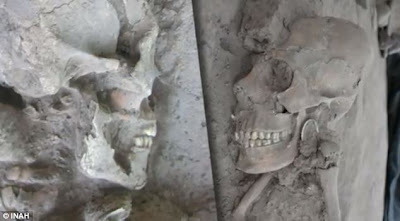 The burial ground consists of 25 individuals; 13 have intentional cranial deformation and five also have dental mutilation. 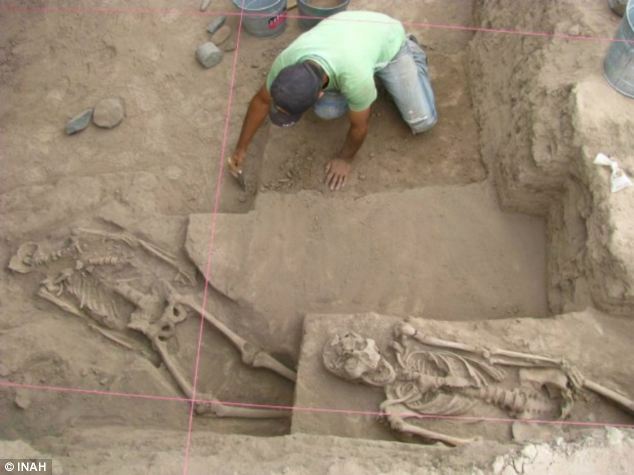 "This unique find shows a mix of traditions from different groups of northern Mexico,' said Moreno. The dental mutilation in cultures such as the Nayarit was seen as a rite of passage into adolescence,' said Moreno. 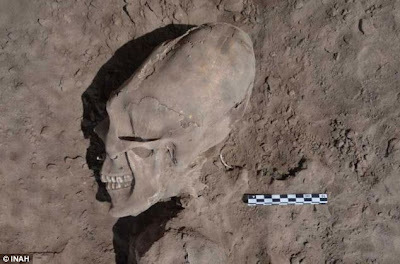 This is confirmed by the findings at the Sonora cemetery where the five bodies with dental mutilation are all over 12 years in age." "In this case, you cannot recognise any social differences because all the burials seem to have the same characteristics. Nor have we been able to determine why some were wearing ornaments and others not, or why of the 25 skeletons only one was female." The team say the number of infants and pre-pubescents could show the high risks involved in the cranial deformation, which can kill from the excessive force squeezing the skull. The find has been dated to the year 943 CE from samples taken from one of the individuals. Are these just normal people or a conspiracy theory ? "My mexico Dentist Guide offers you highly-trained board certified dentists for your safety and assurance in knowing that your dentist in mexico is the one you need for your important dental treatments and has is fully trained and certified for root canals,crowns,cosmetic dental makeovers,dental implants and other advanced dental procedures."